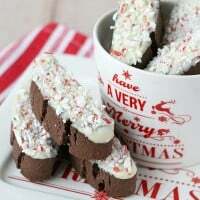 This festive and delicious Chocolate Peppermint Biscotti recipe is perfect to add to your holiday baking list! These crisp and flavorful biscotti cookies are perfect with a cup of coffee, milk or hot cocoa. 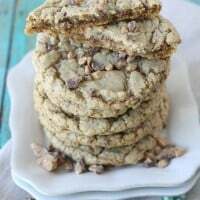 One of my favorite things about these cookies is that they can be made several days in advance, which makes them perfect for busy holidays, and great for mailing to family and friends! 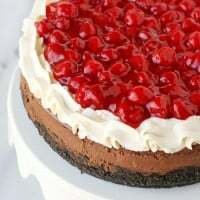 There is something extra special about Chocolate and Peppermint around the holidays and this is my new favorite way to enjoy that delicious combo! 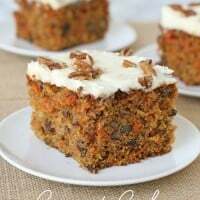 I created this recipe in partnership with Sprouts Farmer’s Market. Sprouts is one of my favorite stores to stock up on holiday baking supplies! I always start with their incredible bulk bins, where I can stock up on all of my favorite baking staples, including sugar, flour, oats, nuts, chocolate chips and more! This recipe was inspired by one of my favorite bulk bin items… semi-sweet chocolate chips! With all the baking I do, I love to keep a good sized jar of chocolate chips on hand at all times! And just in time to stock up on all of your favorite baking staples, this weekend (December 9-11) Sprouts is running a 72 hour Incredible Bulk Bin Sale and all “scoopable” bulk bin items will be 25% off! So check your pantry and make your shopping list now, then head to Sprouts this weekend! To help celebrate this special sale, 12 bloggers (including myself) participated in a treat exchange so we see how our blogging friends transformed their favorite Sprouts bulk bin ingredients. Each blogger sent treats to two others, and received two different treats as well. I shared a photo of the pretty treats I received from Baked by Joanna and The Speckled Palate on my Instagram account. If you’ve never made biscotti before I’m sharing the basic steps below. Biscotti cookies might seem like a fancy treat (and they are), but they’re quite easy to make. 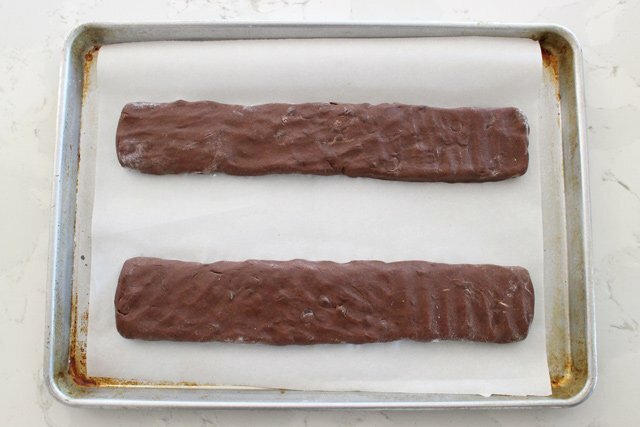 Prepare the dough (recipe at the end of the post), then divide the dough in half and roll each half into a log almost as long as your baking sheet. Place the two logs on a parchment paper lined baking sheet, then press down to flatten, so the dough is no more than 1 1/2″ in height. Bake as directed in the recipe below. Once baked, allow the baked logs to cool about 15 minutes, then slice into pieces about 3/4″ thick. Lay the slices baked side down on a baking sheet (you will likely need two baking sheets now). Bake for 8-10 minutes, then turn over each slice (onto the other cut side) and bake an additional 8-10 minutes. Cool fully before dipping in chocolate. Festive and delicious, these biscotti cookies have a nice crisp texture without being too crunchy or hard. Perfect dipped in coffee, hot cocoa or milk. 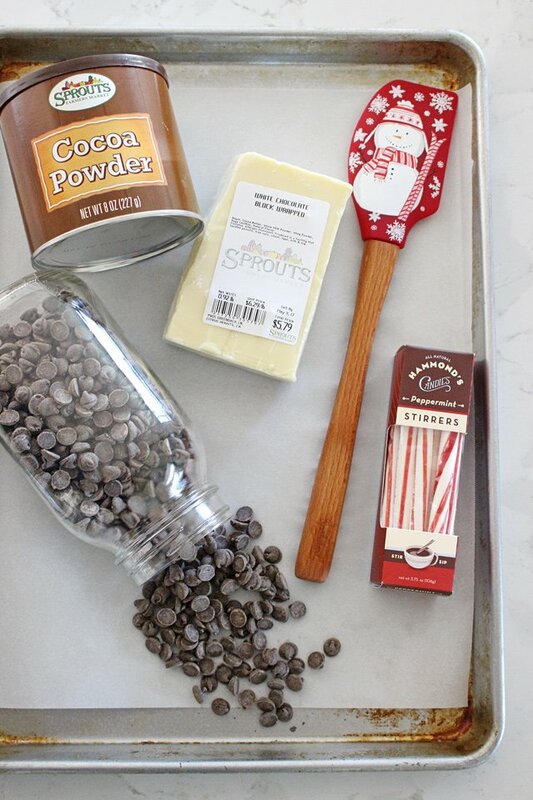 In a medium bowl, whisk together the flour, cocoa powder, baking soda, baking powder and salt. Set aside. In the bowl on an electric mixer, beat the butter until smooth, then add sugar, and continue to beat until fully incorporated. Add eggs, one at a time, while blending. Add vanilla. While slowly blending, pour in bowl of dry ingredients, then chocolate chips. Blend just until combined. Line a baking sheet with parchment paper or a silicone mat. Divide the dough in half. On a very lightly floured surface, roll the dough into two logs, almost the length of the baking sheet. Transfer logs to the baking sheet, leaving space between the two. Gently flatten the logs down (with your hands) until the dough is about 1-1/4" to 1-1/2" tall. You should now have two rounded rectangles. They do not have to be perfect, but try to make sure the ends of the logs are almost as thick as the middle. 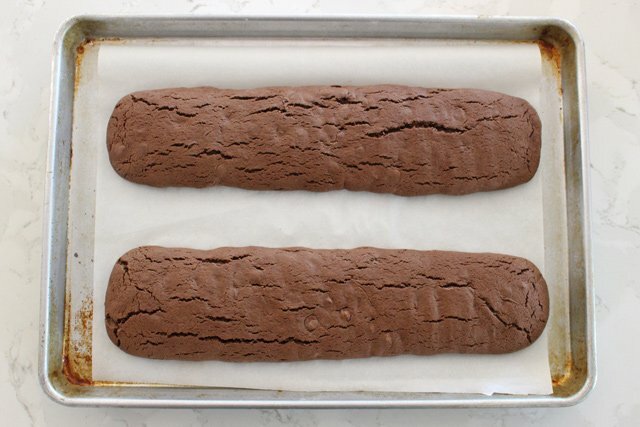 Bake logs for 30 minutes, until the dough feels firm to the touch. Remove from oven and allow to cool (on the baking sheet) for about 15 minutes. Gently transfer the baked logs to a cutting board and use a sharp, serrated knife to cut the logs into thick slices (about 3/4 inch thick). Lay the cookies, cut side down, onto a baking sheets (you'll need two this time) and return to the oven. 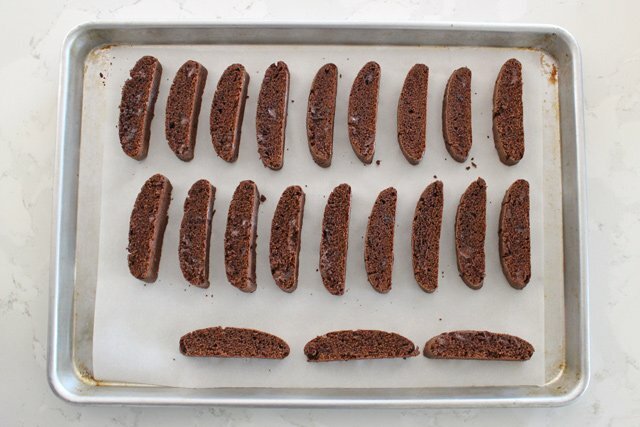 Bake one sheet at a time for 8-10 minutes, then carefully flip over each cookie, and bake an additional 8-10 minutes. Repeat with second sheet of cookies. While the cookies cool, chop white chocolate into small pieces, then melt in a double boiler, or in a microwave at 50% power (in 30 second intervals). Dip cooled cookies into the white chocolate (scrape off excess as desired), then sprinkle crushed candy cane pieces on top. Move to a baking sheet or cooling rack and allow the white chocolate to fully set before packaging biscotti. I used Sprouts brand products for the results shown. Please feel free to use any high quality ingredients of your choice. Feel free to dip the biscotti cookies in dark or milk chocolate instead of white chocolate. You can also omit the candy cane topping and choose nuts, toffee bits or sprinkles. Disclosure – I created this recipe in partnership with Sprouts. Partnering with brands I love allows me to provide you with high quality content at no cost to you. I only work with brands I use and love. All images, text and opinions are my own. 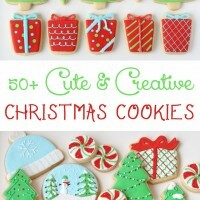 These sounds like such a delightful holiday treat! I just love dipping biscotti in my coffee! 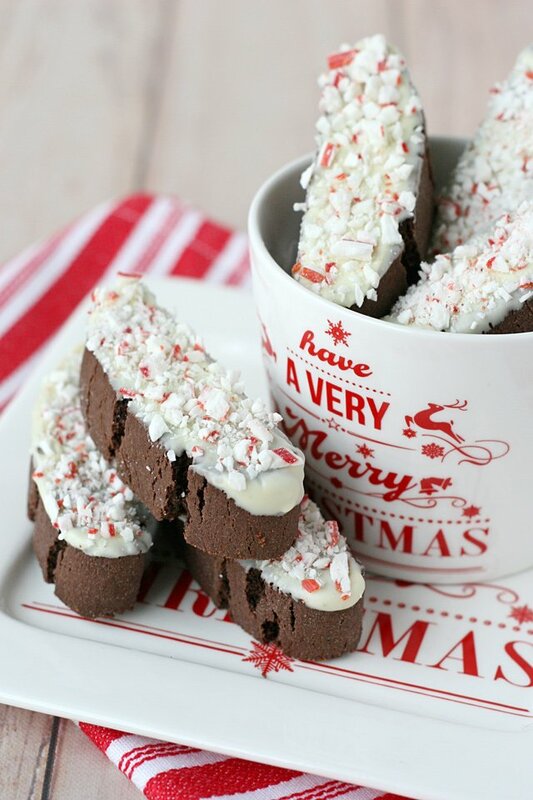 Loved receiving these Chocolate Peppermint Biscotti, so yummy! Merry Christmas! 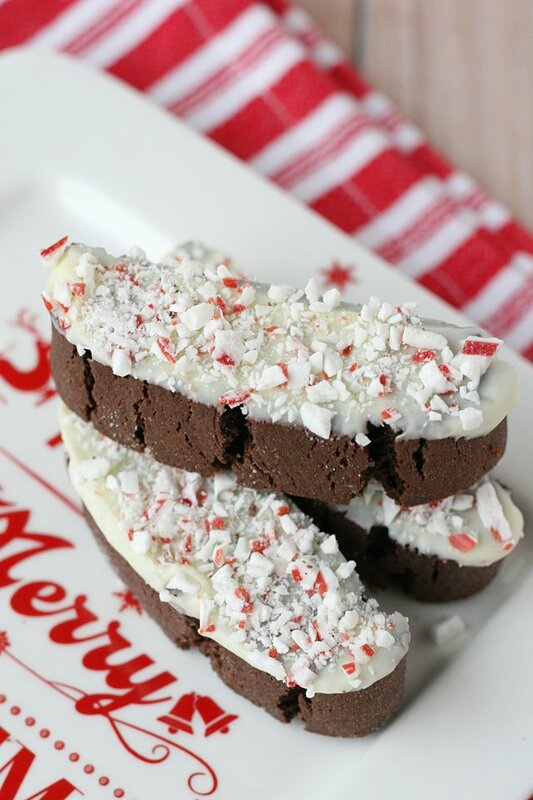 Glory, I can honestly say that these Chocolate Peppermint Biscotti not only look good but taste decadent too! Thank you so much for sending a dozen away – I sure was lucky that Sprouts matched me up with ya! Merry Christmas! Mmmmmm . . . I would love one of these right now with a nice hot cocoa! ! ! Love the flavor combo and the super cute cup and plate set in the photos! I can hardly wait to try one!